The term mobile computing technology is understood as the technology that is being used in the smartphones. However, based on the study of Pejovic and Musolesi (2015), it has been found that the smartphones are the part of the mobile computing technology. Mobile computing is considered as the technology that is mainly used in order to transmit the voice and a set of data through the portable devices by using the wireless networks. It is mainly a distributed system that is mainly used for the communication purpose. This provides the business organizations an ample amount of mobility and the ability to have the computing system at anywhere at any time. There are mainly different sectors where this particular technology can be used such as the E-commerce sites can use this technology for the credit card verification system (Mitra et al. 2015). Along with that, the cabs are also getting booked these days by using the smartphones or the mobile applications. In addition to that, this technology is also getting used in the health sector by developing smart wearable devices that can be used in order to monitor the health condition of an individual. 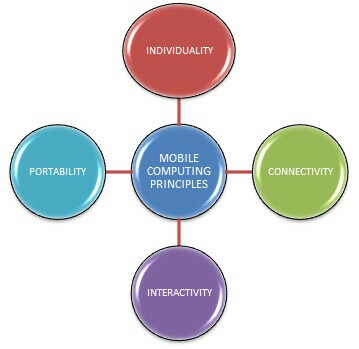 The mobile computing comes with the various principles. Shiraz et al. (2014) said that, one of them is the portability. That signifies the fact that the devices that are connected to the mobile computing system have the feature of mobility. Along with that, the connectivity is another fact that comes under the consideration. It mainly defines the quality of the service regarding the network connectivity. Every mobile computing environment needs to have high network connectivity in order to maintain the smoothness in their processing. In addition to that, the nodes that are connected to the mobile computing environment should have the feature of interactivity. That means they needs to communicate with each other and can have an effective communication process by maintain a healthy transmission of the data set. According to Kim et al. (2013) the mobile computing environment also needs to have the feature regarding the individuality. The system should be able to grasp the technology in order to meet with the individual needs. The mobile computing system has an ample amount of limitations. One of them is regarding the range and the bandwidth of the system. Along with that, the security standard is another factor that needs to be taken under the consideration. While working on the mobile platform, the users are dependent on the public networks and they require a proper use of the VPN. According to Wang et al. (2015), the VPN is vulnerable enough that anyone can attack the VPN as a large number of networks are interconnected to it. In addition to that, the mobile computers are entire dependent on the battery power when there is no availability of the portable generator. Along with that, the screens and the keyboards are getting smaller day by day and that makes it hard to use the device for the users. However, there are alternative actions available regarding these operations such as the speech recognition and the handwriting recognition (Cui et al. 2013). Why do the business organizations need to implement the mobile computing technology in their business functions? What is the importance of the mobile computing technology regarding the business operations? What are the different types of opportunities the business organizations may have after having the mobile computing technology? 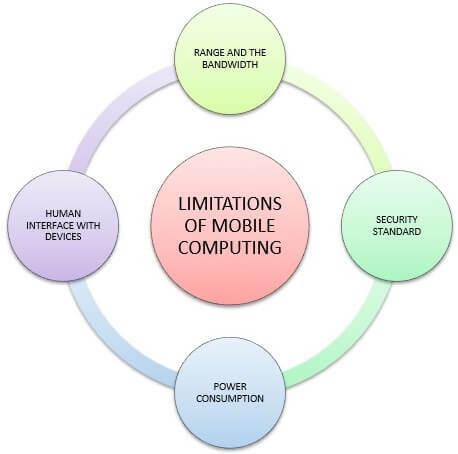 What are the challenges regarding the use of the mobile computing technology? Silverman (2016) said that the research methodology mainly defines the usage of the different tools and the techniques in order to conduct the study successfully. The proper methodology can help the researcher to make the path smooth enough to conduct the study. The researcher should use the proper research philosophy in order to complete the study. The researcher should use the positivism philosophy because of the fact that it is based on the different scientific principles. Along with that, the impact of the mobile computing can be easily evaluated by using the positivist philosophy. In addition to that, the researcher should choose the descriptive design as the appropriate research design. According to Flick (2015), the descriptive design mainly helps the researcher to deal with a large amount of data set that would be gathered from the different primary and secondary sources. The exact presence of the different materials regarding the concept of mobile computing can be properly analyzed by using the descriptive design. When it comes to choosing the research approach, the researcher should use the deductive approach. In this particular approach, the study starts from a general point that is the use of mobile computing and the result is mainly focused on getting the exact reaction regarding the impact of using the mobile computing technology in the different business firms (Taylor et al. 2015). When it comes to the qualitative research, the researcher should gather the data set from the managers of the organizations by interviewing them. The researcher should three managers who can provide a proper set of data in order to conduct the study. Therefore, for the qualitative researcher, the sample size would be three managers. The HR Manager, the IT manager and the PR Manager would be those three managers to whom the researcher should go for collecting the data. The researcher should gather the transcripts from the managers and based on that they should analyze the set of data. Along with that, the data that should be gathered from the managers are very much reliable so that the researcher can easily analyze those set of data. Cheng, X., Huang, X. and Du, D.Z. eds., (2013). Ad hoc wireless networking (Vol. 14). Springer Science & Business Media. Cui, Y., Ma, X., Wang, H., Stojmenovic, I. and Liu, J., (2013). A survey of energy efficient wireless transmission and modeling in mobile cloud computing. Mobile Networks and Applications, 18(1), pp.148-155. Eshet, E. and Bouwman, H., (2015). Addressing the Context of Use in Mobile Computing: a Survey on the State of the Practice. Interacting with Computers, 27(4), pp.392-412. Flick, U., (2015). Introducing research methodology: A beginner's guide to doing a research project. Sage. Gikas, J. and Grant, M.M., (2013). Mobile computing devices in higher education: Student perspectives on learning with cell phones, smartphones & social media. The Internet and Higher Education, 19(1), pp.18-26. Kim, C., Park, T., Lim, H. and Kim, H., (2013). On-site construction management using mobile computing technology. Automation in construction, 35(1), pp.415-423. Mackey, A. and Gass, S.M., (2015). Second language research: Methodology and design. Routledge. Mitra, K., Zaslavsky, A. and Åhlund, C., (2015). Context-aware QoE modeling, measurement, and prediction in mobile computing systems. IEEE Transactions on Mobile Computing, 14(5), pp.920-936. Pejovic, V. and Musolesi, M., (2015). Anticipatory mobile computing: A survey of the state of the art and research challenges. ACM Computing Surveys (CSUR), 47(3), p.47. Rahimi, M.R., Ren, J., Liu, C.H., Vasilakos, A.V. and Venkatasubramanian, N., (2014). Mobile cloud computing: A survey, state of art and future directions. Mobile Networks and Applications, 19(2), pp.133-143. Shiraz, M., Ahmed, E., Gani, A. and Han, Q., (2014). Investigation of runtime partitioning of elastic mobile applications for mobile cloud computing. The Journal of Supercomputing, 67(1), pp.84-103. Silverman, D. ed., (2016). Qualitative research. Sage. Taylor, S.J., Bogdan, R. and DeVault, M., (2015). Introduction to qualitative research methods: A guidebook and resource. John Wiley & Sons. Wang, Y., Chen, R. and Wang, D.C., (2015). A survey of mobile cloud computing applications: perspectives and challenges. Wireless Personal Communications, 80(4), pp.1607-1623. Wolf, M., (2014). High-performance embedded computing: applications in cyber-physical systems and mobile computing. Newnes.